Sacred place, where spirit decides to go home. It’s the birthplace of spirit/double. Sarmizegetusa Regia is the heart of Transylvania. Vlad Tepes (Dracula), the historical figure who inspired Bram Stoker's novel, is definitely less well-known. Vlad Tepes was born in December 1431 in the fortress of Sighisoara, Romania. Solomonari are beings from Inner Earth who would come up to the surface as shepherds or beggars to test your generosity and spirit. Solomonari Is a wizard who is believed, in Romanian Mythology, to control clouds and rain. They are said to be able to control the movement of the "cloud dragons", to call a hailstorm, to cure diseases and to master the highest knowledge about the Universe. The Solomonars are said to be tall people, red-haired, wearing white capes on their shoulders and magic tools around their waists and they are most often seen around begging for alms or summoning and riding the "storm dragons" alone or together with Moroi. In Greek mythology the Hyperboreans were mythical race of giants who lived "beyond the North Wind". The Greeks thought that Boreas, the god of the North Wind (one of the Anemoi, or "Winds") lived in Thrace, and therefore Hyperborea indicates a region that lay far to the north of Thrace. This land was supposed to be perfect, with the sun shining twenty-four hours a day, which to modern ears suggests a possible location within the Arctic Circle during the Midnight Sun-time of year. However, it is also possible that Hyperborea had no real physical location at all. The Hyperboreans were believed to live beyond the snowy Riphean Mountains. to the Sphinx in Egypt. about the creation of this reality. The source of creation is in the Bulcegi Mountains. Romania has a high frequency. Romania is the foundation of every language, NOT LATIN. Romania is the birthplace of humanity. The Sphinx is a natural rock formation in the Bucegi Natural Park which is in the Bucegi Mountains of Romania. It is located at an altitude of 2,216 metres (7,270 ft) within the Babele complex of rock formations. The first photo of the Great Bucegi Sphinx was probably taken in about the year 1900. This photograph was taken from a front position, not from a lateral one, as it usually appears in pictures nowadays. It only acquired its nickname, referring to the Great Sphinx of Giza, in the year 1936. The image of the sphinx appeared when the rock, having an 8 m height and a 12 m width, was watched from a certain angle. The megalith has its clearest outline on 21 November, at the time the sun goes down. In the summer of 2003, in an unexplored area of the Bucegi mountains, an epochal discovery was found that would completely change the destiny of mankind. A Pentagon geodetic satellite scan of the mountain revealed two major energetic blocks. The dams were made of artificial energy: the first was a wall that was blocking access to the tunnel. The second was huge, like a dome or hemisphere, at the opposite end of the tunnel, near the center of the mountain. The whole tunnel-hemisphere was in a plane parallel to the ground, and the dam is vertical hemispherical corresponding rocks on the ridge called “Babele”. 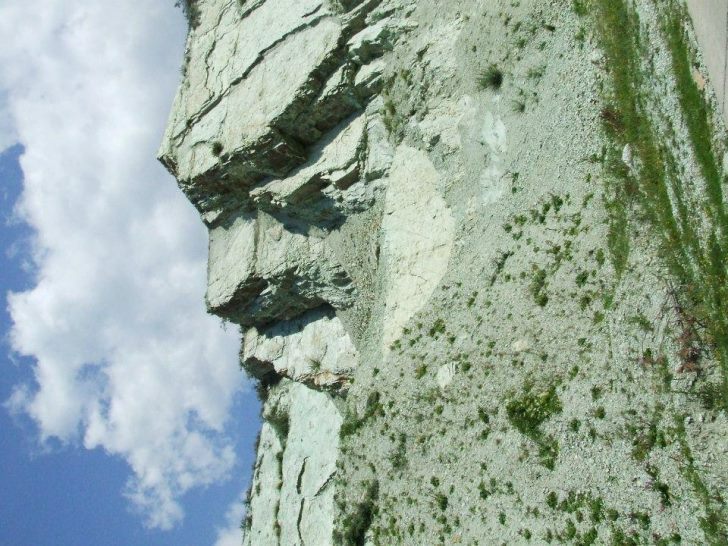 In fact, the vertical slope ended at about 40 meters between Babele and the Sphinx of Bucegi. The Pentagon team noted that hemispherical energy barrier has the same vibrational frequency and the same shape as one another very secret underground structure that they had discovered before, near Baghdad, Iraq. Shortly after this discovery, the Iraqi war broke out and after a few months Americans had access to the biggest secret in the area, which the Iraqis knew nothing about. They managed to drill past the first barrier but the second could not be bypassed. Anything that was thrown onto this barrier turned to dust and when soldiers got too close to the barrier they would collapse from a cardiac arrest. (How they got through is posted later in this thread) but once through they entered what was known as “the grand gallery”. The entrance hall contained a series of huge stone tables. None of the tables have a height less than two meters. On the table tops were cut in relief, with precision, different signs of an unknown writing, characters that resemble ancient cuneiform. The writing also contains more general symbols such as triangles and circles. Although the signs are not painted, they come out with a fluorescent light radiation in different colors from table to table. There are five tables on each side of the room. On some of them are different objects that appear to be technical tools. From many of them descending to the ground, are a lot of white, translucent wires which gather into rectangular boxes of shiny, silver material. The boxes are placed directly onto the ground. The cables are extremely flexible and lightweight and light pulses can be seen circulating along their length. At one table the subject is biology and the projected image are of plants and animals, some completely unknown. Tapping one of the squares, the hologram shows the structure of the human body. It develops holographic images of various areas of the body that always rotate. Other squares show projections of other beings, on other celestial bodies. By tapping simultaneously two different squares, a complex scientific analysis shows the DNA of both beings and possibilities of compatibility between them. On the side vertical lines appear, containing explanations (but in the strange writing seen everywhere) and at the end, the most probable mutant form appears as a result after combining the two genetic information. On each side of the room are arranged five huge tables each one hosting screenings of physics, cosmology, astronomy, architecture, technology, an area that features several races of intelligent beings – who were apparently not all human – and a field of religion . Seems like a huge library of the universe. In the middle of the room is a podium that is installed in a device, possible an energy thought amplifier. In the middle of the square is a huge dome which projects a hologram of moving parts. It contains the main aspects of the very distant past of humanity, from its very beginning. Darwin’s evolutionary theory is therefore completely false. The true origin of man is depicted in a condensed holographic form. After these lessons of truth, we can say that 90% of the official history of mankind is false and counterfeit. Unbelievable, but what is considered to have really happened is mostly lies, while the myths and legends of the people are almost all true. Inside Bucegi Mountains there is a Holographic Library that contains the entire human history. From there it starts 3 holographic tunnels: one to Egypt, one to Tibet (going trough Iran) and one to Inner Earth. The holograms contain information about the beings that lived and also about the beings that are living with all their history and also with everything that will happen. By touching a holographic tablet you can find out information from the past and also information about you.